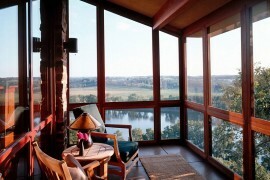 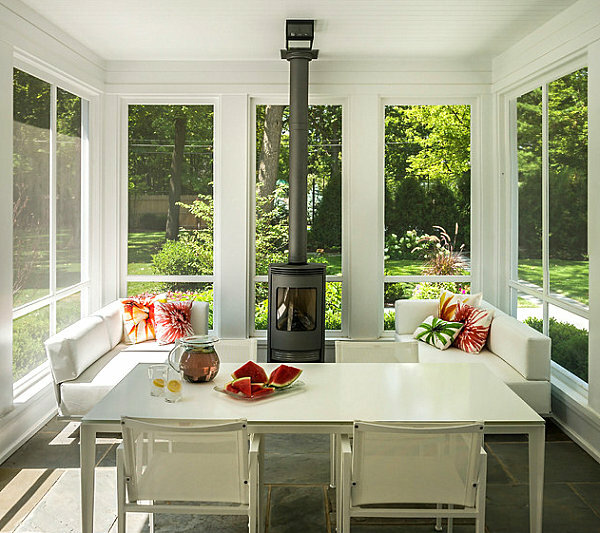 What is it about sunrooms that instantly bring a smile to people’s faces? 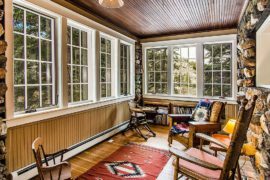 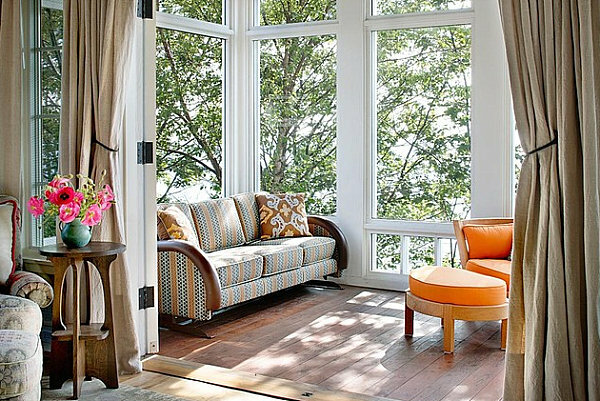 Maybe it’s the special way they welcome the outdoors inside with their expansive windows. 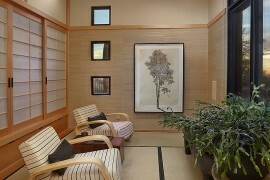 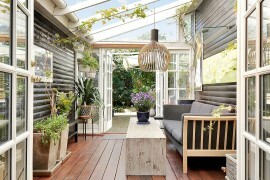 In fact, many people fill these spaces with an array of plants that benefit from the abundance of light. 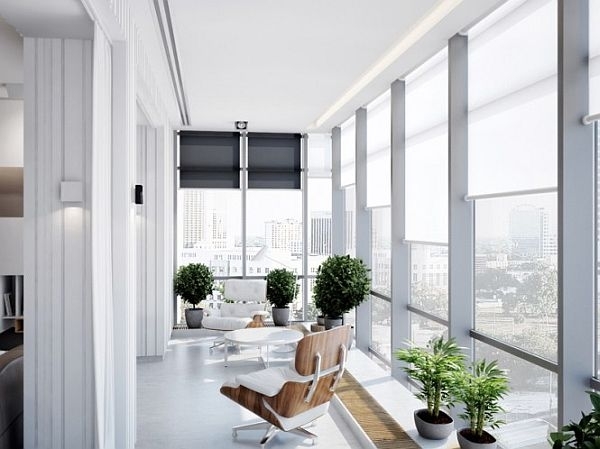 But aside from windows and plants, how do homeowners and designers decorate these rare, alluring interiors? 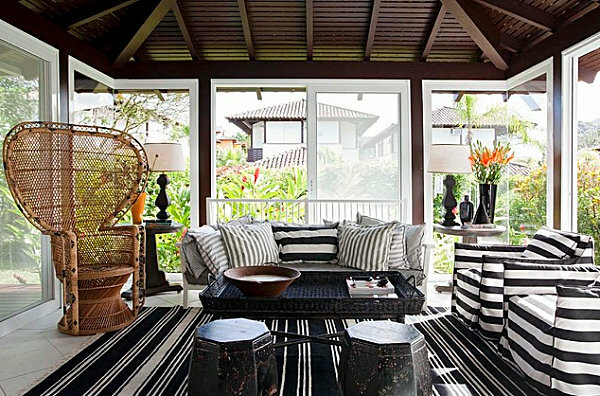 As you scan the rooms below, note the wide variety of styles represented. 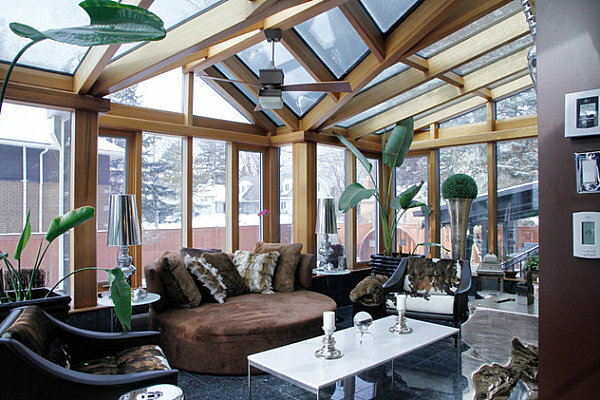 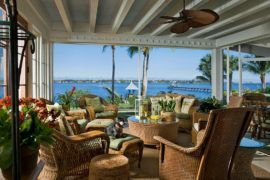 While there are many traditional sunrooms to view online, we’ve focused on the more modern spaces. 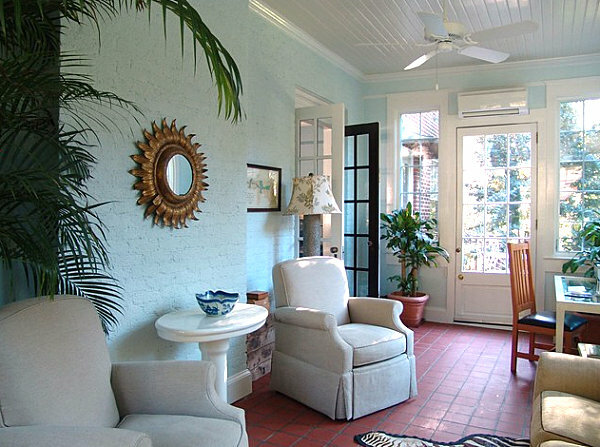 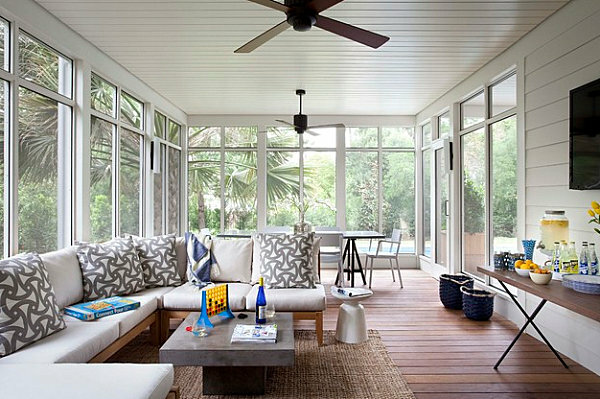 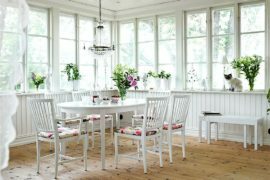 Don’t forget about the power of retro decor when it cones to sunroom style ! 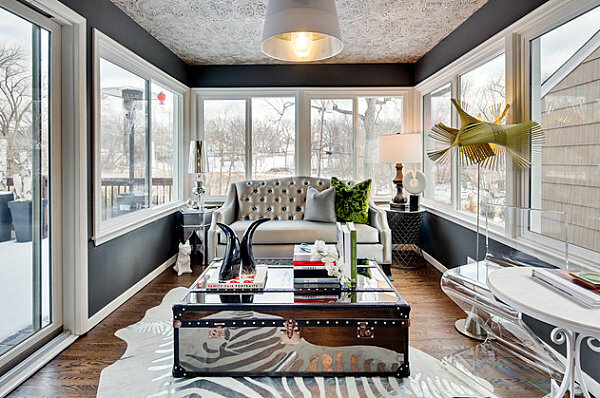 In this Mid-Century modern room from Beacont, clean-lined furnishings, statement lighting and sunburst wall art put their unique stamp on the space. 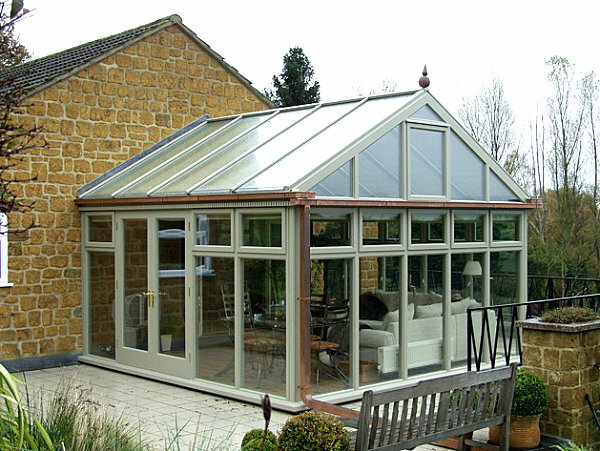 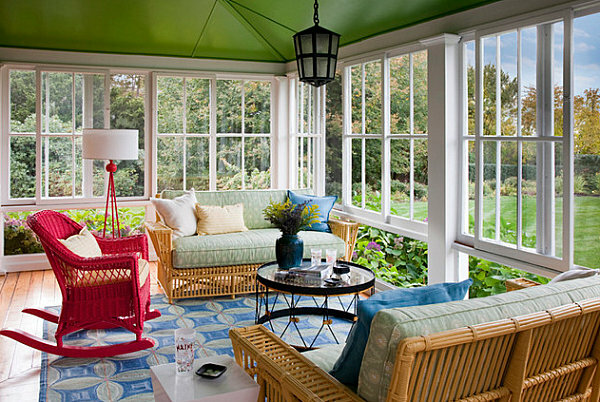 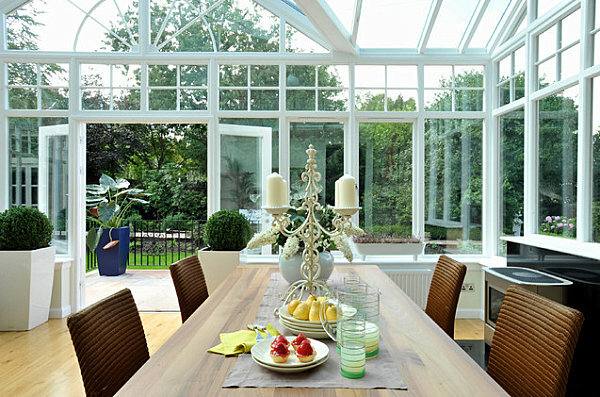 Remember that not all sunrooms have to be filled with plants that evoke the feel of an English garden! 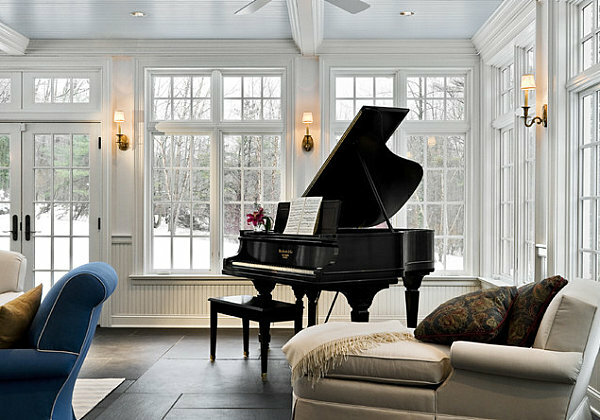 You can frame your space with decorative touches that truly reflect your style.